As a luxury real estate marketing professional it can be strategically advantageous to anchor your locale as a major component of your personal brand identity. Doing so can add significantly to the emotional appeal of your brand because it promotes the fact that you an ambassador of good will in your marketplace. Promoting your marketplace more than you demonstrates your marketing expertise and sells you in the process. 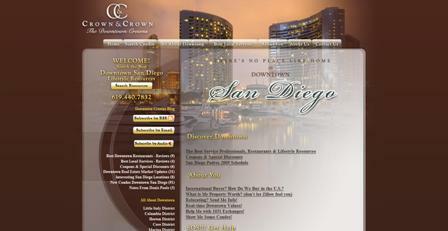 Our clients, Crown & Crown, AKA The Downtown Crowns (downtown San Diego mother-daughter luxury real estate team): Sharyn and Victoria Crown are experts in promoting their marketplace through their popular blog. And, they are very active participants in their community. Visit their website. The United States is replete with geographical gems. Which one is yours and how can you demonstrate your marketing expertise by promoting your marketplace more than you?